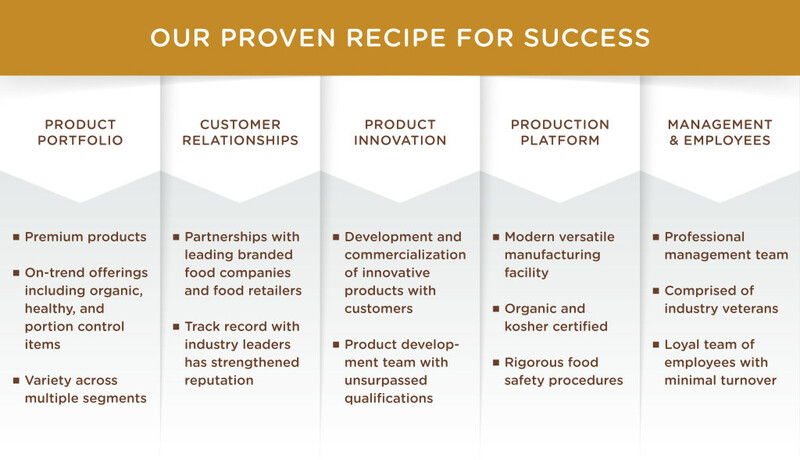 The Senior Management team is at the heart of any successful organization, and Bar Bakers™ has the most experienced group of professionals in any Food Company. The group that includes the leaders of R&D (including a decorated food scientist), Process Engineering, Operations Management, Mechanical and Electrical Engineering, and Quality Assurance has a combined experience of over 200 Years in food manufacturing. The roots of their expertise were grown in large companies – Nabisco, Keebler, Sunshine, Mother’s – and blossomed when let loose under the entrepreneurial environment that was Bloomfield and is now Bar Bakers™. The owners bring the best talent on board, infuse them with their vision, and let their expertise and skills bring rapid completion to even the toughest challenges. © 2014 BarBakers™. All Rights Reserved.